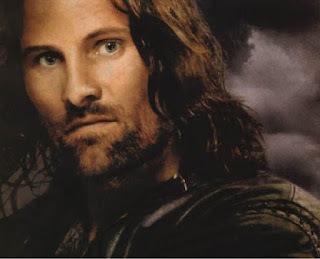 Today, my dorky friends and I are having a Lord of the Rings movie marathon/party. I searched the internet for Lord of the Rings themed food, but my searched was fruitless. 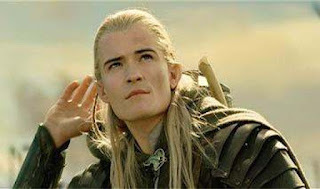 Other than Lembas Bread, Rabbit Stew, and countless potato dishes ("Boil 'em, mash 'em, stick 'em in a stew! "), I found virtually nothing. Nothing was party appropriate. So on went my thinking cap. I decided to make The One Ring cookies and Lembas Bread inspired cookies. 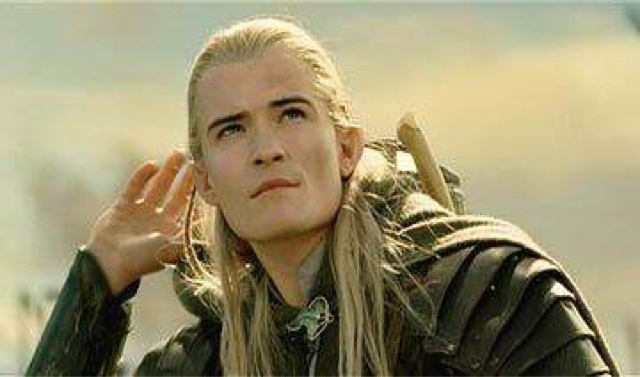 What's Lembas Bread, you ask? 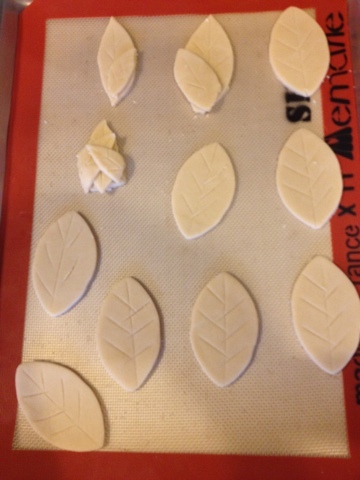 I didn't want to just made flat bread, so I made cookies that looked like the leaf wrappings. I used one batch of sugar cookie dough to make all The One Rings and the Lembas Bread. This recipe is especially great because it requires no refrigeration. 1. Preheat oven to 350 degrees Fahrenheit. Line cookie sheets with either Silpat (SUCH a life saver!) or parchment paper. 2. 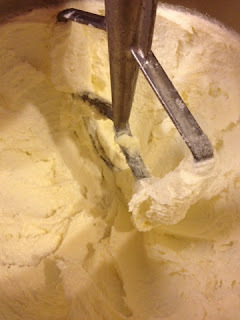 Cream butter and sugar until light and fluffy, about 4 minutes. Scrape bowl. Left is "incorporated" and right is "fluffy"
4. 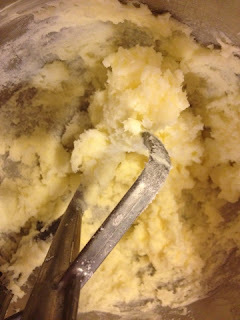 Mix baking powder and flour together before adding it in three parts to the wet ingredients. Mix until fully incorporated and it's in big chunks. 5. 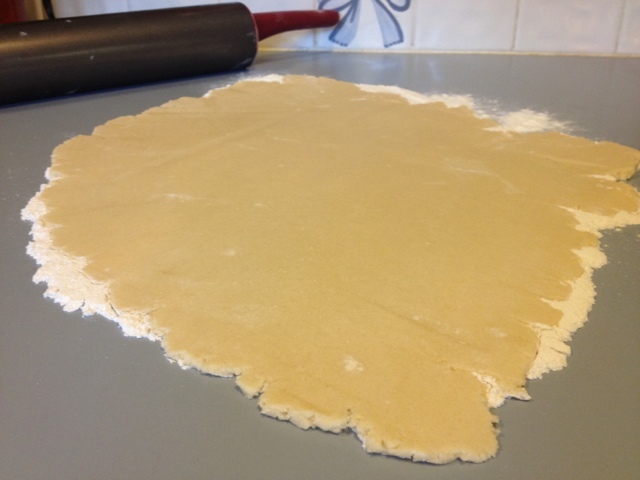 Divide cookie dough in half or thirds, depending on how much space you have to roll out. Flour the counter. 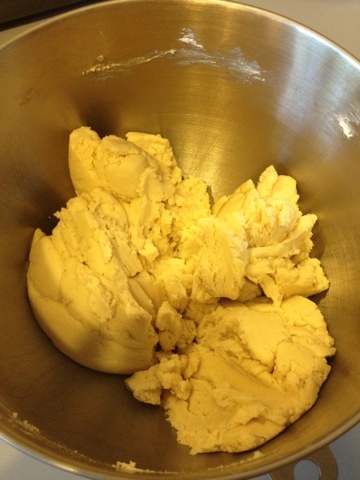 Roll out the first chunk into 1/4 inch dough. You can change the thickness, but just remember to change your baking time accordingly. 6. Cut out the desired shapes. 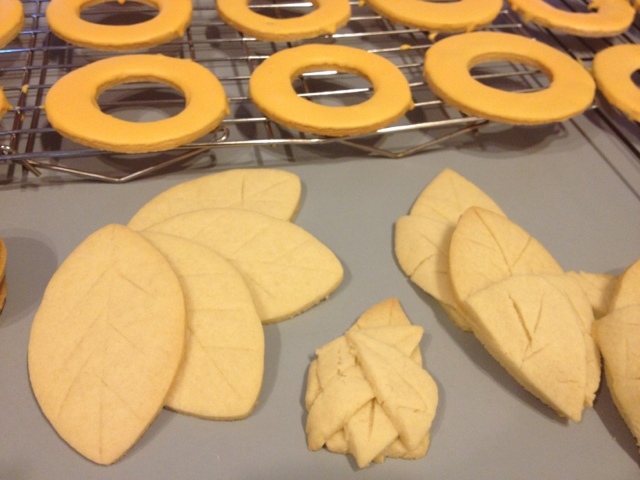 to make the lembas bread, I used a football cookie cutter and used a knife to make the leafy slash marks. 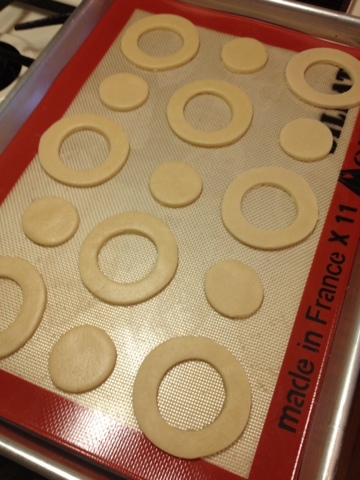 To make The One Ring, I used a round cookie cutter for the outside and cut out the inside with a medicine bottle cap. 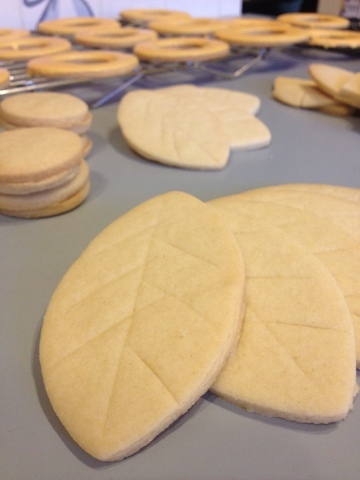 Using a metal spatula, transfer cookies from the counter to the silpat/baking sheet. Bake at 350 for 8-10 minutes or until golden around the edges. The precious! We wants one, yes we do. 7. Frost cookies however you want. Sometimes when I'm crunched for time, I take a tub of Pillsbury (or the like) frosting, NON-WHIPPED, and microwave it for 20-30 seconds. When it's really thin, I barely dip the front of the cookies in it, and it acts just like royal icing! It dries pretty quickly, about 30 minutes. Just make sure they're completely dry before you stack them. One small bite should fill the stomach of a grown man. I've eaten four... what does that say about me? 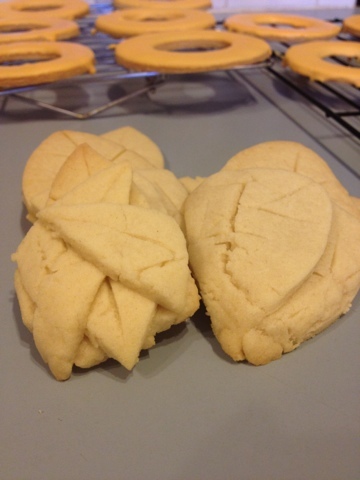 This is what I've been looking for - a lembas cookie recipe! I want to make some for thanksgiving and dye them green :) Thanks!